The Alpha 7S II features a long list of impressive video specs, which is to be expected from a camera that will find its way into the hands of serious videographers. A key development is its ability to record 4K (3,840×2,160-pixel) movies internally rather than to an external recorder, which adds unwanted bulk to a camera set-up. 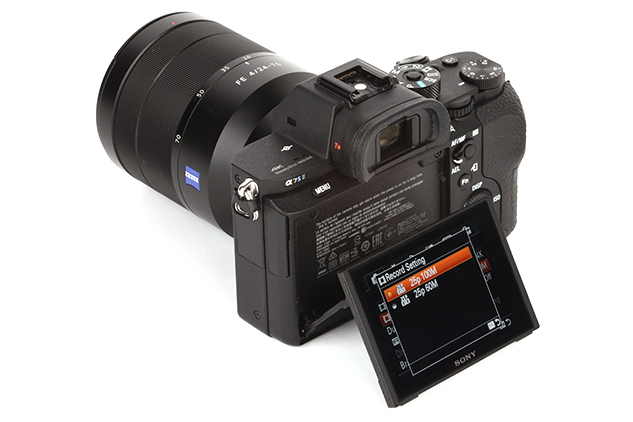 The Alpha 7S II records its 4K internally using full-frame readout without line skipping, to produce the highest-quality 4K footage possible. The XAVC S files are minimised in size using Long GOP data compression before being saved in the widely compatible MPEG-4/H.264 format. There’s more on offer too, not least the 120fps full HD recording option that’s ideal for those who’d like to create 4x/5x slow-motion movies in post-production. To view some example footage of slow-motion recording on the Alpha 7S II watch our video below. Advanced video functions that made their debut in the Alpha 7S are joined by even more options to ensure videographers have the very best latitude when it comes to recording and editing. The introduction of S-Log3 gamma is designed to offer better tonal reproduction from shadow to midtone (18% grey) than S-Log2 gamma and benefits from a 14-stop latitude. As well as the popular S-Gamut/S-Log2, there’s also S-Gamut3.Cine to reproduce the wide colour gamut of the DCI-P3 colour space of digital cinema, with S-Gamut3 being best suited to archiving. To complement these settings, the Alpha 7S II features a stereo headphone jack below its 3.5mm mic port, there’s zebra patterning to reveal areas close to clipping, and focus peaking is available to aid focusing when the camera is used with manual-focus lenses. 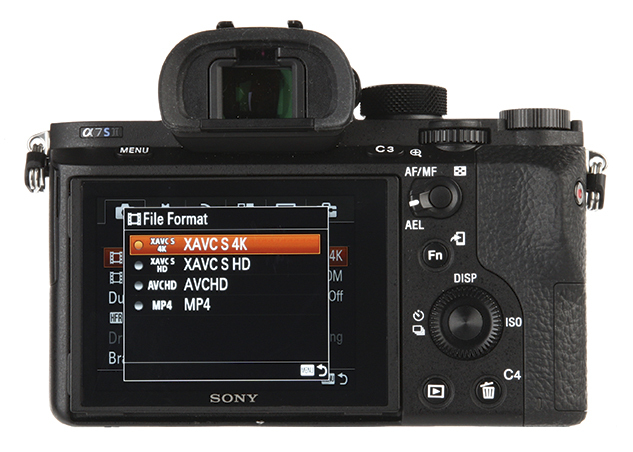 To take advantage of the XAVC S format users will require a Class 10 or higher SDXC memory card and the camera will prompt you to use a UHS Speed Class 3 card when recording at 100Mbps.